Let me start by saying that I LOVE mashed potatoes. 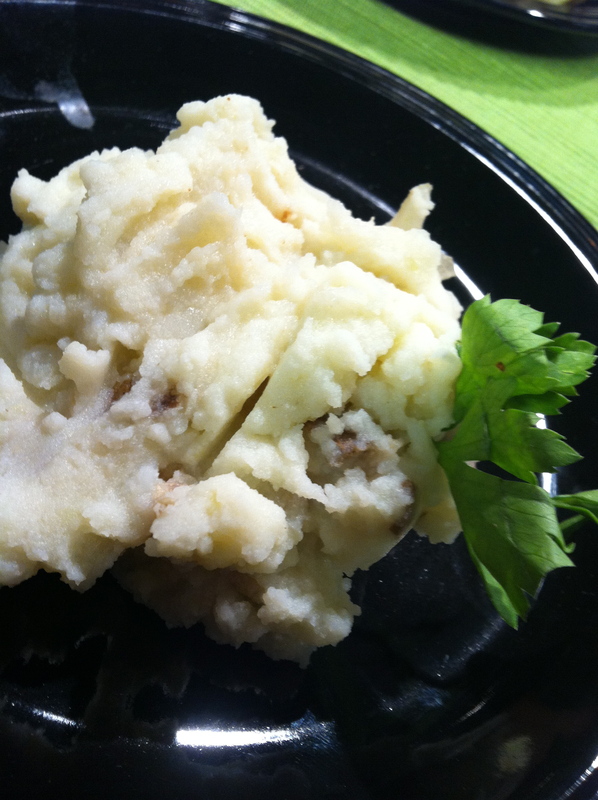 I enjoy making this recipe because I feel great eating mashed potatoes knowing that I am also eating my cruciferous veggies, a family of vegetables that includes all-important, disease-fighting broccoli, cauliflower, cabbage and Brussels sprouts (stay tuned this month for a great roasted Brussels sprouts recipe). Cruciferous vegetables are anti-inflammatory and full of antioxidant power. If you love potatoes, but don’t love feeling like they are too indulgent to eat regularly, consider these. Depending on your body’s tolerance for potatoes, you can make this recipe heavier or lighter in cauliflower. If you have been advised to limit potatoes in your diet, go heavy on the cauliflower and light on the tater for an awesome way to indulge without throwing your hormonal system out of whack. NOTE: This recipe has been updated and incorporated into a new e-cookbook, Organic, Non-GMO and Gluten-Free Fall Family Favorites. 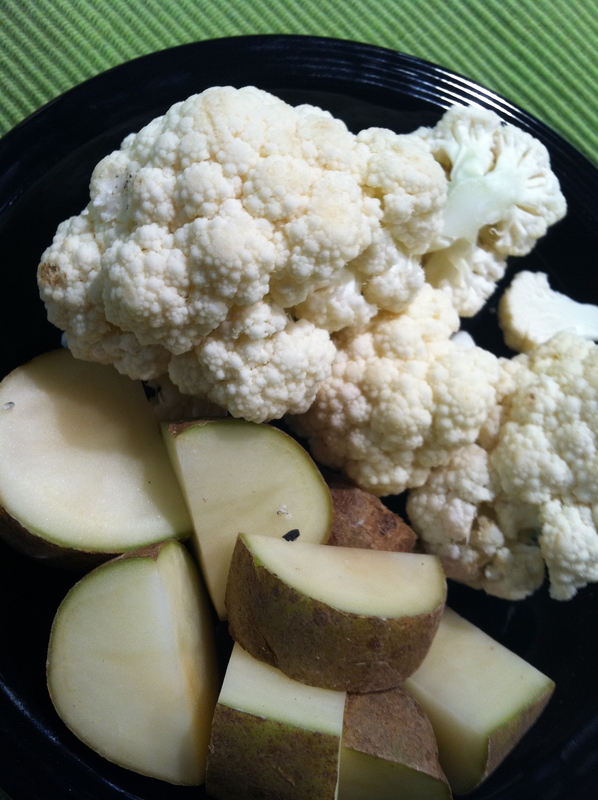 Some people mix cauliflower into potatoes as a way to disguise vegetables in order to get children to eat their veggies. I am not a fan of this approach. Children must touch, see, taste, and play with vegetables in order to learn to like them. Without experience handling vegetables, children will be unlikely to develop a love for them. Mix cauliflower into potatoes simply because it tastes and feels good. Cut cauliflower into florets. Place in cool water and the bring to a boil. Cook until soft, about 10 minutes. While the cauliflower is cooking, cut the potatoes into medium sized cubes. Place in cool water, bring to a boil and cook until soft. While the potatoes are cooking, puree the cooked cauliflower in a blender or food processor for a smooth puree, or in a beat in mixer for a chunky texture. Add the cooked potatoes and butter to a large mixer, and beat the cauliflower and potatoes together, seasoning with broth, milk, salt, pepper and additional add-ins to your taste preference. The cauliflower puree can be frozen for future use in soups, sauces and other dishes, for a long time.